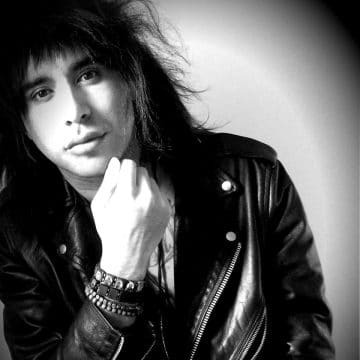 Catalano frontman Roxx Catalano‘s pimple like blemish on his right leg turned quickly into a severe infection requiring hospitalization. If the infection had been left untreated for a few more days, it could have resulted in his death. “Bit of an update, last Monday I had an insignificant blemish on my right leg, thought it was a little pimple type thing, fast forward a few days and I was barely able to walk but being a mans man I sucked it up n put on a staunch face as long as i could only to end up here in Canberra Hospital in a near critical condition with a heavy metal infection from hell, the doctors cautioning that if I had waited another 3-4 days I could’ve died. In bulk pain still but after 3 nights am now stable, cheers for all the phone calls, messages and good vibes, power lives to ride another day! Sleaze Roxx wishes Roxx Catalano a speedy recovery.